Fiber Christmas – . . . it's a fibery Christmas in July! Fiber Shopping at it’s Finest!! What is Fiber Christmas in July? 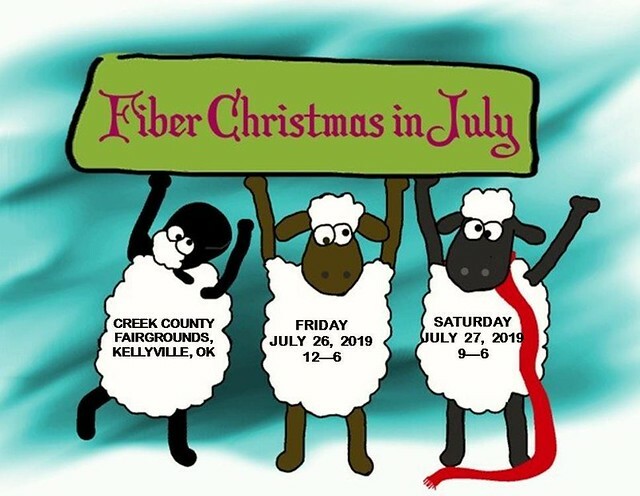 Fiber Christmas in July is a Fiber Festival at the Creek County Fairgrounds between Sapulpa and Kellyville on historic Route 66 on the last weekend in July. 2019 marks our 13th year! The event includes all types of fiber arts from knitting to spinning to felting and weaving. 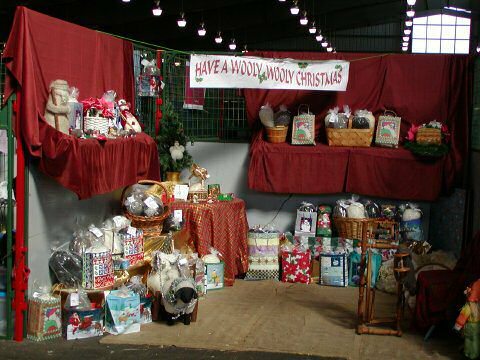 The event encompasses every fiber and yarn type available from commercial yarns to fluffy fleeces to funky handspun yarns. It hosts vendors from Oklahoma, Texas, Kansas, Arkansas, Louisiana, Mississippi, Tennessee, and Missouri with all manner of fiber tools. Fiber Christmas in July also offers classes on everything from beginner to advanced for all facets of the fiber arts, which change from year to year. This year 2019 we are suspending classes due to construction at the fairgrounds, however we hope to be back on track for the 2020 festival. Have a Wooly, Wooly Christmas!